These are the secret hotels uncovered in the UK capital, London (updated March 2018). If you cannot find below a specific hotel, just send us an email to the address on the left and we will by happy to help. Commanding a prime location near Kings Cross/St Pancras and the Eurostar terminal. This 4* upscale hotel is the perfect London base for business trip, exploring the city or catching a West-End show. It offers modern rooms, with king sized bed, luxury toiletries and amazing views over London on the higher floors. Enjoy our innovative dining concept and free Wi-Fi. Just a short walk from some of London's most prestigious areas, and not to mention great shopping! The clean contemporary style make this hotel pure pleasure. This stunning 4-star hotel can be found in London’s exclusive Kensington neighbourhood. Originally an authentic Victorian townhouse, it features spiralling staircases, stained-glass windows and marble pillars paired with modern amenities including satellite TV and wifi. Visit the Kyoto Gardens in nearby Holland Park. This boutique, 4-star hotel is only a short walk from Wimbledon Common and the famous tennis courts. Meanwhile, Heathrow Airport is only a short drive away. Stay here to enjoy a smoke-free hotel with an award-winning restaurant, a bar, tranquil garden, free parking, and free wifi to keep you connected. Boutique rooms have free wifi, satellite TVs, 24-hour room service, and modern en-suite bathrooms with rainfall showers. This 4-star Victorian-style hotel is found near Earls Court Tube Station, providing easy access to West London’s historic sights and museums. The hotel serves a cooked breakfast each morning and free wi-fi is available in the hotel. The hotel’s rooms are decorated in a contemporary style and offer tea and coffee making facilities, room service and stylish bathrooms. This boutique 4-star hotel is found within a converted 19th century building, close to Hyde Park and Kensington Gardens. Start the day with the hotel’s complimentary continental breakfast, and you can treat yourself to afternoon tea in the hotel’s contemporary-style lounge. Each room is air conditioned and has complimentary wifi access, a freeview TV and private bathroom with designer fittings. Sitting on the world-famous Broadway, this grand 3-star hotel offers its guests the perfect Midtown Manhattan position, just moments from Time Square. Dine in two restaurants, serving cuisine including French bistro and classic North American. Room service is available from 6.30am until 11pm. The hotel's 533 rooms have complimentary high-speed wi-fi, a flatscreen TV with cable channels, air conditioning and iPod docking station. Located in Westminster, close to the houses of Parliament and London Eye. This contemporary hotel is compact and well designed, perfect for the ultimate city trip. A modern and stylish 4 star hotel that is perfect for business or leisure! Enjoy cocktails or dine on modern European cuisine in the recently renovated bar and restaurant. With a convenient location, minutes from Victoria rail station, this hotel provides its guests with immediate access to major attractions such as Westminster Abbey, the Houses of Parliament and Buckingham Palace. A perfect base from which to explore London's shopping and theatre districts. Modern and great value for money hotel - conveniently close to the bars and restaurants of Edgware Road, historic Marble Arch and shopping paradise Oxford Street. Set close to Regent’s Park, this five-star hotel boasts a distinctive, elegant style. Enjoy the opulent surroundings or visit one of the stylish restaurants and bars. Ideally situated for sight-seeing and shopping expeditions. This is one of the top rated luxury hotels in central London, and is within walking distance to the theatre district and all other sightseeing. During your stay you can dine in the award-winning restaurant or relax in the spa. The hotel rooms are luxuriously furnished and come with free wi-fi access and private bathrooms stocked with designer toiletries. Five star hotel in Knightsbridge, modern rooms and excellent facilties, the hotel also offers free entrance to the gym and pool. Only 5-10 minutes ride to the West End by taxi. This modern 4-star hotel can be found in Marylebone village, surrounded by boutique shops and restaurants, and the buzz of Oxford Street and its flagship stores. Designed with flair in mind, it houses its own cutting-edge gym and indoor pool. Don’t be put off by the name, The Gunmakers pub is a local favourite. Overlooking Green Park, this luxury five-star hotel oozes outstanding service, a homely atmosphere and a fantastic West End location. This hotel has recently undergone a multi-million-pound refurbishment meaning the exterior and entire ground floor of the hotel have been completely refreshed. This hotel is a Mayfair icon, and the perfect place for your city stay. This is an elegant and comfortable haven right in the middle of London's West End. This hotel has the perfect location for theatres, shopping or visiting the famous sights of the capital. Brand new 5 star hotel within walking distance of landmarks such as Tate Modern, Royal Festival Hall, the National and Globe theatres, as well as Borough Market and the London Eye. Located on the border of Belgravia and only a 5-minute's walk from Victoria Station, this luxury boutique hotel is a fusion between old meets new. Behind the Grade II listed building you will find state of the art guest-rooms with complimentary super fast wi-fi, free mobile phone during your stay, iPad which acts as a in-room concierge, 3D TV's and much more! In one of London's most sought after areas, perfect for the marvellous shopping of Oxford Street, you will find this superb hotel. Richly decorated with original artworks and treasures from all around the world, this hotel offers a relaxing base and great service. A five minute walk from Bethnal Green tube station in London’s trendy East End, this 5-star hotel set in an Edwardian building has been decorated with an art-deco interior and features its own funky restaurant, as well as an onsite gym and indoor pool. Try a visit to Bangla town for a curry is always recommended. With a superb central London location this luxury hotel is ideal for business travellers and tourists who want a first-class experience and quick access to their destinations. Excellent dining options are offered by the venue and surrounding areas, while in-room spa treatments and an on-site gym add to your overall satisfaction. The rooms are modern, comfortable and well equipped, with complimentary wi-fi, a flatscreen TV and iPod docking station included in each. This four-star hotel boasts a West End location right on Oxford Street close to the famous Park Lane and features restaurants, three bars and a complimentary gym. Sleek modern design and all the latest technology including complimentary superfast wifi. Don't miss the great offer for this hotel 5 mins walk from Paddington Station & 10 mins from Hyde Park, an unforgettable experience that won't break the bank! Found between trendy Shoreditch and London’s financial district, this modern 4-star hotel has been designed with a homely feel in mind. With an open-floor layout, wooden furnishings and leather furniture, you have your own kitchen and complimentary wifi for added convenience. Book a meal at the Duck and Waffle in Heron Tower for dinner in the highest restaurant in England. Located in Aldgate, this new contemporary four-star hotel oozes outstanding service, and a fantastic city location. This hotel boasts modern architecture and design, two restaurants, 24-hour gym and a destination rooftop terrace bar with a panoramic view of London's most iconic skyline. This hotel is the perfect place for your city stay. Located a few meters away from the South bank of the River Thames next to London Eye and Tate Modern, this hotel features spacious and modern rooms. The Restaurant offers an international cuisine in a cosy atmosphere. Innovation is packed into this 4-star hotel – free Wi-Fi throughout, an interactive info system, the latest Microsoft Surface table in the lobby, the iPad table in the restaurant and electronic shower privacy screens. Even the swimming pool has been given the digital art treatment. This hotel is one of London's best hotels for business and leisure guests. Many of London’s attractions - the City, the Buckingham Palace, China Town and Leicester Square - are just minutes away. This boutique 4-star hotel, found in Kensington in West London, offers lovely period charm with modern luxury. Expect high ceilings and large windows combined with modern comforts such as flat screen TV's and free Wi-Fi. Guests are offered a complimentary glass of champagne and canapes in every evening of their stay. Stroll through nearby Holland Park and their striking Japanese-style Kyoto gardens. Located in the Royal Borough of Kensington and Chelsea, this 4-star deluxe hotel is in the heart of London only a short distance from Hyde Park, Kensington and Buckingham Palaces, Harrods, and the Gloucester Road underground station. The upper floors of this hotel provide amazing views over London with some of London's iconic buildings visible. The hotel has a choice of bars, cafes and restaurants as well as an on site fitness centre. Rates are based on double occupancy. Close to Camden Market and Regent's Park, this hotel is central to all of London's main tourist attractions. Approx. 10 minutes from Euston or Kings Cross St Pancras by tube. This is a modern, stylish hotel with good facilities, surrounded by trendy bars and restaurants. After a busy day in the capital, why not use the hotel mini-gym or just relax in your beautiful, well appointed guest-room, some overlooking Regents Canal. The quality and location of this hotel will be sure to please. Fantastic West London contemporary hotel only minutes from the tube with direct access to Central London. The facilities were recently upgraded to a high standard including a new lobby, restaurant, bar and gym. It is the right side of town if you heading to Wembley Stadium and even Heathrow Airport is within easy reach. Great for business or leisure with a simple tube ride into some of London's great attractions. This four-star spa hotel is moments from Kensington High Street and features a spa, fitness centre and indoor swimming pool as well as an onsite restaurant and bar. Have lunch at nearby The Orangery in Kensington Palace. This smart 3-star hotel sits in the vibrant heart of Shepherd’s Bush, close to the tube, the Shepherd’s Bush Empire and shops, including the West 12 and Westfield shopping centres. Enjoy an international selection of cuisines in the hotel’s restaurant, or unwind in the contemporary bar. Rooms have internet access, flat-screen TVs, tea and coffee facilities and private bathrooms. This stylish 3-star hotel sits in trendy Kensington, only a short walk from the nearest tube station and the shops of High Street Kensington. The hotel offers complimentary continental breakfast each morning, and has a tranquil garden, bar and lounge, free luggage storage service, and free wifi throughout. The contemporary rooms have air-conditioning, soundproofing, TVs, and en-suite bathrooms with rain showers and free toiletries. Not only is this 4-star hotel on the most popular street in Chiswick, it’s only a short walk to the tube station. Browse boutiques and pop into restaurants and bars, all on the doorstep. Or, you can hop on a bus to Westfield shopping centre or Kew Gardens. With contemporary design throughout, this hotel includes a stylish restaurant, bar, gym and 24-hour room service. This modern 4-star hotel is very well located and is short stroll away from both Euston and Kings Cross St Pancras. Whilst close to the British Museum, Russell Square tube station provides easy access to the West End, Buckingham Palace and Hyde Park. The hotel’s air conditioned rooms all have a LED TV’s and Nespresso Coffee machines as well as complimentary Fibre Optic WIFI. This sleek, 4 star hotel sits on the south bank of the River Thames, close to historic Westminster. It’s a few minutes on foot to The Tate Britain, The London Eye and Big Ben. And with Waterloo station close by, you can easily reach your chosen London neighbourhood. There’s a gym, an award-winning restaurant, bar and lounge. This four-star Georgian hotel sits just north of Oxford Street and close to Regent’s Park and is an ideal base for shopping and sight-seeing. This 4-star contemporary hotel in trendy Shoreditch offers a warm atmosphere to rest your weary head. This location places you close to the bustling markets, bars and restaurants of East London. While the City centre, business districts and Olympic Village are all easily commutable. A central, 3-star hotel in charming Clerkenwell. Found in London’s famous Square Mile, the location is wonderful whether you’re here for business or pleasure. For culture-seekers, the Barbican Centre and Shoreditch are both, a short walk away. You get free use of the health centre facilities including indoor pool and there’s a restaurant, bar and café on site. Found in a tranquil spot in popular Victoria, this 4-star hotel has excellent transport links to Gatwick Airport, making it a great weekend or business trip option. This classic 4-star hotel can be found in London’s historic Bloomsbury district, close to Russell Square and the British Museum. Keeping its heritage décor this hotel has easily been able to keep its historic Victorian charm while offering mod cons like free wifi, air conditioning and flatscreen TVs. This elegant hotel is your ideal base for a memorable stay in London. This modern, 4-star hotel is located in vibrant Kensington and just minutes away from shopping centres, famous museums and parks, and well connected via public transport. Sip a signature cocktail in the contemporary bar or enjoy the wide selection of British dishes at the restaurant. The air conditioned rooms include satellite TV and large workspaces. Funky, boutique hotel located in Central London near Tower Bridge and London Bridge Station.Ideally located for some of top attractions of London, including the Tate Modern, Tower Bridge, The London Dungeons and just a short tube ride away is the West End with its world famous theatres and shopping. Close to the Thames, this luxury hotel is a Trip Advisor Certificate of Excellence winner. Expect five-star service and amenities including a 25m swimming pool, gym and spa, onsite bar and restaurant and 24-hour room service. Thanks to a perfect location in the heart of the West End, this truly delightful boutique style hotel is a great choice for those who want to be within walking distance of London's exciting attractions including Covent Garden, Soho and Oxford Street. This traditional, privately owned hotel offers guest rooms enjoying all the modern facilities you'd expect from a 4-star hotel, including air conditioning and wireless broadband. A stone’s throw from tranquil Kensington Gardens and Hyde Park and a short walk from London’s top museums, this 4-star hotel is a great base for a London stay. Along with the fantastic location guests enjoy air-conditioned rooms, a fitness centre and private parking. Fantastic location close to Oxford Street and Covent Garden, perfect for shopping and dining out. A deluxe stylish contemporary hotel you will not want to leave. Perfect for both business and leisure travellers alike as located in the heart of the West End and London's shopping district. Located in West London, just outside the city centre but still within 20 minutes of London’s West End by underground, this recently refurbished hotel offers guests an ideal base from which to explore. A spacious and contemporary 4 star property, it also offers onsite parking, a large fitness centre, an al fresco bar and two other restaurants. This contemporary 4 star hotel with recently refurbished bedrooms is a 10 min walk away from Oxford Street/Marble Arch and approx 10 minutes tube ride Westfield Shopping Centre. The hotel is ideal for family or shopping trips and boasts a great choice of leisure facilities including several bars and restaurants and a 12.5m indoor swimming pool. Minutes walk from Shakespeare's Globe Theatre, Tate Modern, Millennium Bridge and St Paul's Cathedral, London Eye on the West and London Bridge on the East. Superb hotel in the heart of London ideal for either business trip or weekend break positioned walking distance to central London. The hotel features bar-restaurant, 24 hour room service and a gymnasium. Close to the riverside at Waterloo, this 4-star sits moments away from Big Ben, the Houses of Parliament and the London Eye. You can also hop on a tube or bus at Waterloo station to see more of the city’s attractions. As a guest, you’ll enjoy free use of the fitness centre, sauna and steam room. And, you can refuel at the hotel’s restaurant and bar or call up for room service (24 hours). Contemporary hotel, centrally located on the south bank of the Thames near the London Bridge. Surrounded by some of London's most famous attractions including the world-famous Shard, Borough Market, Vinopolis and just a short hop from the legendary shops and theatres of the West End. Enjoy a drink or snack in the hotel's funky, friendly bar or sample the delights of the restaurant's amazing European cuisine. Experience the modern comforts at this 4-star hotel, which is only steps away from many of London’s most popular attractions. 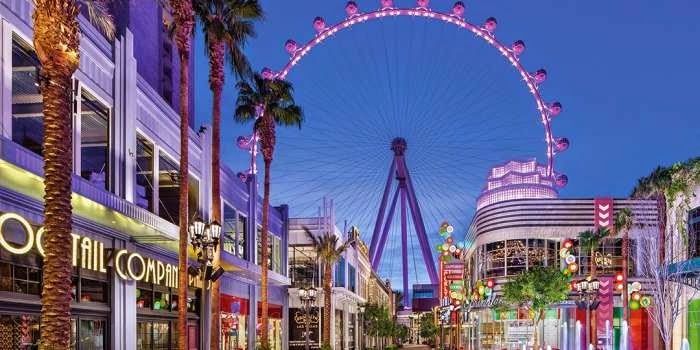 Take a ride of the London Eye, explore the restaurants and shops along the Thames, and enjoy a riverside view of the iconic Houses of Parliament. While you’re there, treat yourself to some time at the on-site spa, or grab a meal at one of the hotel’s two bars/restaurants. Found within the heart of the exclusive district of Kensington, famous for its world class museums and the iconic Hyde Park and Royal Albert Hall, this 4-star hotel hides a considerable amount of contemporary style within its authentic Victorian façade. The hotel has several comfortable bars and restaurants, serving fine European cuisine and cocktails. Be sure to see Leighton House Museum, with its incredible collection of Victorian and Arabic art. Mediterranean cuisine. This modern 4-star hotel is just a short walk from the iconic Buckingham Palace, and the nearby Victoria Station offers excellent train, tube and bus links. You can enjoy fine dining in the hotel’s restaurant or a relaxing drink in its lounge bar, and unwind in the health club and spa. Furnished in a modern style, rooms all feature flat-screen TVs with cable channels, minibars, tea and coffee making facilities and free wi-fi access. This classic 4-star Covent Garden hotel sits in the heart of London’s Theatreland. Wander around Covent Garden’s vibrant market and shops, and see stars tread the boards in a West End show. This hotel offers 24-hour room service, air-conditioning, wifi, and a welcoming onsite restaurant. This 4-star hotel combines contemporary interior design with Georgian architecture to great effect. Found in the bustling surroundings of Chinatown in the heart of the West End, theatreland is just a short walk away, and Leicester Square tube station provides good transport links around the city. There is an attractive bar on site, and every one of the hotel’s air conditioned rooms has free wifi and bathrooms stocked with high quality toiletries. Found in the bustling heart of The City, close to the Barbican and Moorgate station, and within walking distance of trendy Shoreditch, this 5-star hotel displays a keen eye for contemporary design. Rooms combine dark wood furnishings with dramatic touches of colour, and have flat-screen TVs, free wifi and bathrooms stocked with sensuous toiletries. Live the high life with champagne and oysters and great views of the city at Tower 42. A Stylish hotel in a fashionable location, set in the heart of prestigious Knightsbridge, this hotel is perfect for designer shopping, the home of Harrods and Harvey Nichols. This modern 4-star hotel can be found near central London’s Leicester Square in the West End and minutes walk to Theatreland. Rooms feature complimentary wifi and flatscreen TVs with Freeview. Be sure to check out the many eateries in nearby Soho. Taking pride of place in the heart of Mayfair, this deluxe 5-star hotel boasts a rich history and iconic location as well as an award-winning bar and Michelin Star restaurant. This classically elegant 4-star hotel in the heart of stylish Mayfair, overlooks a prestigious square close to the Bond Street boutiques and popular Oxford Street. Meanwhile, Hyde Park and the city’s financial district are within easy reach. Traditional furnishings and a relaxed atmosphere spread throughout and its 2 restaurants and a bar keep guests coming back for more. Quiet Aparthotel with leafy garden, free car parking and close to Archway with easy transport links to London attractions. A historic building with all the modern facilities including free Wifi and 24 hour reception makes this an affordable option for your stay. This contemporary peaceful 5 star all suite hotel is set in Chelsea. Close to the exclusive shops and boutiques of the King's Road & Knightsbridge, it is also within easy reach to Oxford Street, Westfield London Shopping Centre and other finest London attractions. The hotel provides personal service with friendly staff to all business travelers, leisure travelers and families. This hotel epitomizes luxury and lavishness, set in the heart of London within walking distance to the city's most famous sights and theatres. Indulge with the award winning SPA, a very popular brassiere, ultra comfortable beds and Hermes toiletries in all the rooms. An iconic hotel in London, well positioned near the banks of the River Thames in Central London, this remarkable iconic property offers elegant well-appointed rooms and impeccable 5 star service. The hotel boasts fine dining restaurants and bars, and is famous for its lovely traditional High Tea. This is one of London's most renowned hotels, with a long list of the 'who's who' gracing its rooms and restaurants over its long history. Turkish Airlines offers very good rates for the return flights from Luxembourg to Istanbul in November and December 2015. Prices are well under 100€, for long week-ends or for a one week vacation. 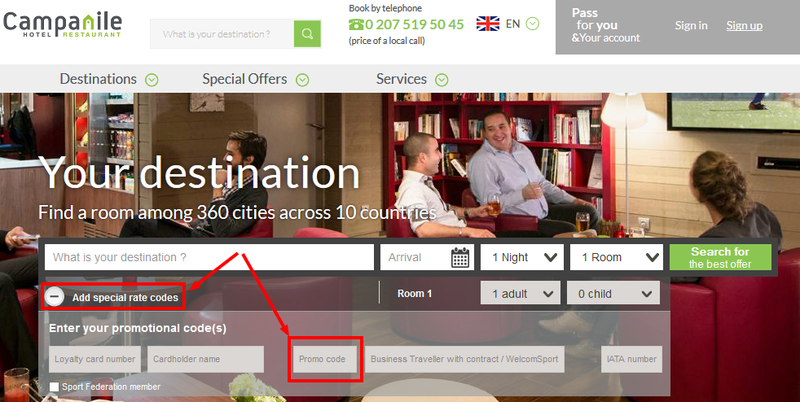 We never make any booking without previously checking-out TravelPony, one of the best hotel discounters. This week-end they offer a 50$ discount for purchases of minimum 300$, for stays anytime during 2015. The TravelPony voucher code must be typed in at checkout, below the Summary information on the right column, in the field "Apply promo code". Campanile hotels is a chain of budget hotels located mainly throughout France, but with a strong expansion policy all over Europe and even worldwide. They currently offer a 10 € promo code KYTDFR201301 when bookings flexible rates directly on their website. The Campanile.com voucher code above returns a 10 € discount from the flexible rate, meaning that you can always change / cancel your reservation if plans change. so even if sometimes it's the same price with the prepaid rate, you still have the flexibility and do not risk losing money. 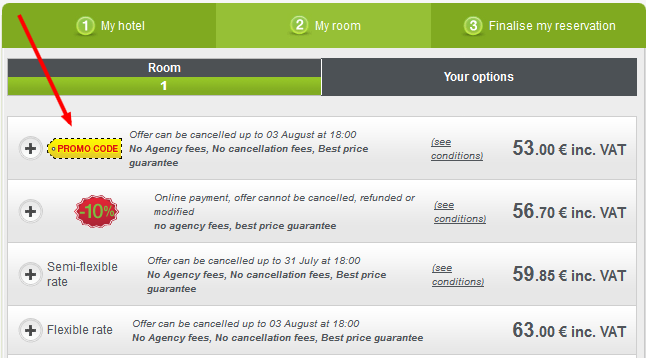 Just select that rate and afterwards finalise the booking process. For bookings until 8 May 2015 and stays during the month of May 2015 you pay only half of the points you would normally pay for a Reward Night at selected IHG properties in Latina America (InterContinental, Crowne Plaza, Holiday Inn). For example, you can get the InterContinental properties in Cancun or Panama at only 12 500 points per night. EasyClickTravel offers a 40% discount off the daily passes on the Hop On Hop Off water taxi to see the Ney York and New Jersey skyline from the water. You can verify your savings by comparing to the official website of the New York taxi ride.